As part of Roberta Bondar Park this transient boater facility offers 38 slips and 450 feet of dock-face, all serviced with power and water hook-ups. Additional services include showers, laundry, diesel and unleaded fuel, pump-outs, ice, nautical charts, chart books, cruising guides and other miscellaneous marine products. Radio watch is maintained on VHF Channel 68. 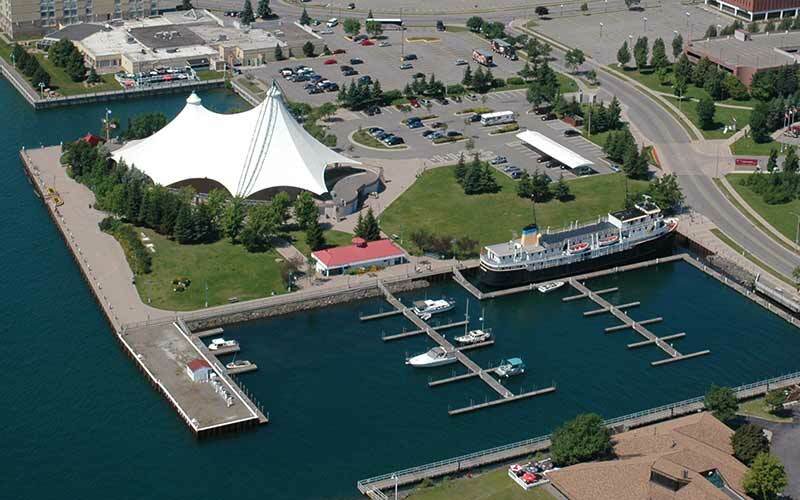 This Marina serves as a Canadian Customs check-in point. It is located near the heart of the City’s downtown close to shopping, restaurants and entertainment.